Fun fact: the US market has dozens upon dozens of baby stroller brands. From this fact, you can easily tell that the task of choosing the best one for your needs is going to be tough. As a proud mother of two kids, I am personally aware of how hard it is to find the right baby stroller. This is the reason why I decided to build this website to help make it easy for other parents like me to make the right choice. In this list, I review the best baby strollers available right now on the US market. My review is based on my personal experiences with the strollers and from a thorough analysis of other reviews and rankings by other moms and dads. The majority of the baby strollers included in this list are best-sellers that continue to do well. The list includes new 2019 products as well. With this review of the best strollers of 2019, you should be able to quickly make your stroller purchase decision! Here is a mom’s ranking of the best strollers available for sale this year. As mentioned, it includes my personal favorites and beets sellers on the market. New 2019 strollers that are going viral have also been included. This is, hands down, one of the most amazing strollers in its class. It has got what is probably the biggest sunshade to protect the baby from getting sunburnt. It also has got a fair number of storage pockets. Although it has been around for a while, I have included it in this list because it is still one of the best strollers out there. The stroller has an unconventional, but very stable, three-wheel design. This design makes it easier to maneuver compared to the conventional four-wheel strollers. The tires are big and rubberized, meaning you can pretty much walk this stroller over all kinds of terrain. The feature I love the most on this device is its seat. The Britax B-free stroller has got a roomy seat and can support even 65 lbs kids. This feature makes this stroller perfect for a big kid. And that’s not all. The seat can be reclined to any position you want. Parents can use this feature to quickly and effortlessly find a comfortable position for their kids. Furthermore, the seat itself is made of good quality fabric to provide your kid with maximum comfort. If you love storage space on baby strollers and carriers like me then you will definitely love this stroller. The reason is that it has multiple storage pockets on it; eight pockets to be exact. Just below the seat, there is a big basket where you can easily pack a diaper bag, wipes, a light shawl, and possibly a feeding bottle. Just like the basket below the seat, the remaining pockets are also kind of inconspicuous and are great for carrying additional baby items. The reason why this is my number one stroller is that it has got what is arguably the biggest stroller canopy! It can literally cover your kid from head to toe. I think this makes the Britax B-free stroller the ideal stroller for parents in cities such as New York and Chicago where the weather can change abruptly. The big expandable canopy is also the reason why this stroller is going to continually feature among the top 2019 strollers. There is one more reason why this top-notch stroller is selling like hot cake on some online stores. The reason is that it is compatible with Britax baby car seats. With the Britax infant car seat, you can easily take your infant to the clinic for checkups, to the park, or anywhere else using this stroller since the car seat has a flat position. The Britax B-free stroller is truly an amazing product. However, some of the things that make it even more amazing do not come with the stroller. They have to be purchased separately. The things that have to be purchased separately include the car seat and the cup holder. Moreover, while the maker of this stroller says that the seat can be used by newborns, I think it is more suitable for older babies of between the age of three and six months. The Britax B-free is compatible with Britax infant car seats. The car seats have a flat position. This means that you can use the car seat to travel safely with your baby, and a combination of the stroller and the car to carry your infant baby to wherever you want. In other words, you can use it from the time your baby is born. Courtesy of its roomy seat and its high weight capacity, you can use it for longer than other strollers. This means you will not have to buy another stroller as your baby grows older. The Britax B-free stroller has multiple storage pockets including a large hidden basket underneath the seat. These storage pockets make it perfect for carrying baby items such as a diaper bag, wipes, baby oil, a shawl, and even toys. This magnificent stroller comes in three colors Pewter, Front, and Midnight. Check Amazon or Pishposhbaby to confirm the prices for all available colors. The Bumbleride Indie stroller is a favorite among many young parents because it is stylish, robust, and extremely adaptable! This is the reason why it features on my top ranking of the best baby strollers for 2019. The Bumbleride Indie baby stroller has all the nice features you would expect from any decent 2019 stroller: adjustable, ergonomic handle; a large canopy; rubberized, all-terrain tires; and a seat that is suitable even for infants. It is also compatible with multiple infant car seats. These exciting features contribute to its stylishness and adaptability making it a superior product for strolling the baby. The stylishness of this baby stroller is complemented by the fact that it is available in six different colors. Your baby will definitely love the seat on it as it is significantly padded with a material that feels soft and comfy. He or she will also love that this stroller is fitted with big air-filled wheels plus a simple suspension system. These features add to the comfort and make this stroller sufficient for strolling off-road terrains including grass, sand, gravel, and even light snow. The Bumbleride Indie comes with a three-wheel design and pumped wheels. The design and the wheels make it easy to steer on most terrains. This baby stroller is also well-balanced and can even be steered with one hand. Is your driveway bumpy? Are the sidewalks in your location a bit rough? Or do you love going for a leisurely stroll at your local park? If you answered yes to any of the questions, then you should probably get this stroller because it can handle these types of terrain. The big wheels and the inclusion of suspension system on this stroller make it clear as day that this is a comfortable stroller. This stroller is not only comfortable for toddlers but also for newborn babies. This is because its seat can be transformed into an infant carrier in a few moments. This is because it can be infinitely reclined to a flat position to create a comfortable bed for your infant. Thus, you can commence using the Bumbleride Indie from the very first day you leave the maternity ward. From what I have seen and experienced about this stroller, the infant-mode is perfect only for short walks. This is because it makes it difficult for you to check up on your baby. One more feature that has wowed me about this stylish and adaptable stroller is its compatibility. The Bumbleride Indie is compatible with a variety of car seats including popular ones such as Peg Perego, Chicco, Graco, Nuna, Cybex, and Maxi Cosi. You can easily attach any of these baby/ infant car seats to the stroller. The attachment can be done with the main stroller seat available or removed. One thing I would like to point out about this stroller is that although it seems compact, it is not small or fragile. It is a sturdy and reliable stroller that weighs 24 lbs and is strong enough to carry even big kids. The compactness serves to make it maneuverable. I decided to check out Amazon reviews by verified purchasers to find out what other parents are saying. From the thirty minutes I spent looking at the reviews, I discovered that most parents were really impressed by how stylish and adaptable the stroller is. Many are also impressed by the ability to transform it into an infant-ready carrier. The comfortable seat and the large canopy were some of the other features that also fascinated parents. One mom in her review remarked that the “Bumbleride Indie is extremely easy to steer and versatile in so many ways”. She backed her versatility claim by saying that it is compact and that it is well-designed to be used on all terrains. Another mom commented that the stroller is sturdy enough and has big enough wheels that allow her to jog with it. Even though this is a fantastic product with inflated tires, a suspension system, and sturdy construction, it is not the stroller you want to buy if you want to go jogging with your kid. The main reason is that it becomes difficult to maneuver at high speeds because it is three-wheeled. You can use it from day one. This is because it is compatible with most popular infant car seats and can quickly be transformed into an infant carrier. It has a large canopy for maximum protection from the elements. The large canopy also provides your baby with a bit of wiggling and stretching space so that he or she does not feel enclosed. It is very adaptable; can handle most terrains, can carry a lot of stuff, and can be used until late toddlerhood. Savvy traveling parents prefer this the 2018 Baby Jogger City Tour LUX stroller to other strollers. This is for a good reason: it is solely designed for urban touring with the baby! It has got thrilling and useful features that am going to share with you in a bit. The Baby Jogger City Tour Lux stroller also features several other exciting features that make it stand out. First, it has got a reversible seat. This means depending on your preference, you can put your baby facing you or facing forward. Second, it has got a large basket below the seat that can accommodate plenty of baby stuff including diaper bags and toys. Third, it is easy to maneuver. Lastly, it is designed with a unique patented technology that makes it easy to fold it and store. As I mentioned in the introduction, this stroller is designed for urban tours. From the features, I have mentioned, you can see that it is perfectly suited for such tours. This is why it could not miss from my list of the top strollers in 2019. One of the features that excited me the most about it is how easy and neatly it folds. When folded you can easily find space for it in the boot of your car. This makes it very convenient especially if you get it together with a compatible infant/ baby car seat. Because it enables you to visit places with your baby; places that you may have otherwise been unable to visit because of the distance. The tires on this stroller are not big or inflated. This means they are not appropriate for off-road use. Furthermore, this thing just weights 19 lbs. Although this means it is portable, it also means that it is not suitable for older/ heavier kids. It is an affordable stroller that is good for urban tours even to faraway destinations. For the reason that it is compatible with car seats and it can be folded quickly and neatly for storage. It is compact and light but it is also fitted with pockets of spaces for carrying baby items and toys. It has a large canopy and a reversible seat. This makes it convenient. This stroller is available in several colors on Amazon. Click here to confirm if it is available in your favorite color and to check its price. My list of gorgeous and useful best 2019 baby strollers would not be complete without mentioning the upgraded UPPAbaby Cruz stroller. This stylish, lighter, and narrower stroller is an upgrade of the bestselling UPPAbaby VISTA stroller. CRUZ strollers (colored versions) are made of quality genuine leather. Moreover, they do not feature any chemical that may pose any danger to the baby. CRUZ strollers are also made of frames coated with powder instead of carbon. This coating material minimizes the possibility of scratching. Lastly, the new UPPAbaby CRUZ stroller is available in two extra colors green mélange and charcoal mélange. Many people would like to know about what makes one stuff unique over the other to make their purchase decision. Well, unlike the UPPAbaby VISTA that and many other similar strollers, the CRUZ stroller is compact and lighter and has more functionality. Despite being compact its toddler seat is roomy and comfy. The seat is also reversible, meaning your baby can ride facing you or facing the world. The wheels on the CRUZ stroller are relatively big for a smooth ride, while the four-wheel suspension system design makes the stroller even more comfortable. UPPAbaby CRUZ’s handlebar feels premium in the hands and is adjustable for easy steering. The stroller also comes with a large basket below the seat that provides ample storage/ carrying space. The canopy on the CRUZ stroller is a premium quality canopy that will protect your sun from the rays. It can be expanded for full coverage. Like several other premium baby strollers on this top 2019 strollers list, the UPPAbaby CRUZ stroller is compatible with popular infant car seats. This means you can use it from the day your baby is born. However, you will have to keep in mind that some of these car seats require adapters while others don’t. This stroller has a weight limit of 50lbs. This convertible pushchair is best for those parents who want something stylish, fun, and compact. Its simple but very stylish and functional design is one of the reasons why it is one of the best strollers of the year. The UPPAbaby stroller is not expandable. This means that it is only suited for one child and not for long. Moreover, despite the relatively big size of the wheels, they are not meant for extreme off-road riding. If you want a smoother ride on all terrains, you should go for one of the other strollers on this list with inflated tires. It is a fully functional stroller despite being compact and lightweight. This makes it ideal for parents who are always on the go. It is a superior quality stroller that offers value for money. Moms and dads who want something nice and durable, but on a tight budget will find that it is the best suits their needs. Any baby riding in the UPPAbaby CRUZ stroller will love its lux features and the comfort the seat and the suspension system provide. In conclusion, the CRUZ stroller is more affordable than the VISTA. Check its latest price by clicking here. I decided to include this stroller in my list because it is one of the most creative and technologically advanced strollers out there. Ever imagined what a stroller would look like if it were designed by a “lazy” mom? Well, imagine no more. The innovative features on the 4Moms Moxi stroller significantly minimize effort and will make baby strolling extremely fun for both you and your little one. Although technology is a part and parcel of our modern lives, many strollers – even among the best strollers for 2019 – are not fitted with innovative technologies to make them more convenient. However, the 4Moms Moxi Stroller is different. It is different in the sense that it is extensively integrated with innovative technologies. The first among the technologies is the cool LCD dashboard near the handlebar. The dashboard provides readings such as speed, distance covered, temperature, time, and the number of calories you have burned. The 4Moms Moxi stroller can also charge your phone. It is fitted with power generators on the rear wheels that charge its battery when you are moving at a certain pace. The battery, in turn, powers the dashboard and has enough power for phone charging. Other innovative features include its front lights and taillights, its cup holder, and its padded seatbelt. In addition to the innovative technological features, this stroller also has some premium “regular” features including a padded and reversible seat, the ability to transform into a bassinet for your infant, an adjustable handlebar, and storage space underneath the seat. The canopy on this thing may be stylish but it is not the biggest one around. Moreover, folding takes a bit off time to master. Lastly, it is quite pricey. This stroller is one of the most technologically advanced strollers in its class. It has got a digital dashboard, pathway lights, and taillights for maximum visibility. It is a gorgeous convertible stroller that can help you lose weight after pregnancy by showing you the distance you have covered and the number of calories you have burned. It can be used from birth to toddlerhood. This is because it can be turned into a flat infant carrier in a few quick steps. I believe the UPPAbaby VISTA is one of the few of strollers that would effortlessly make into any list of the best baby strollers for 2019. The VISTA stroller is a premium stroller available in a variety of fascinating colors. All its colored versions feature quality genuine leather. The leather together with the rest of the materials has been tested for harmful materials and found to be safe. One of the things I love the most about it is its bassinet. The bassinet is longer than most on other strollers. This makes it perfect for carrying taller infants. The mattress and fabric are also soft and cushy for a comfortable ride for your young one. Other thrilling features on the UPPAbaby VISTA including the powder coated frame which is more resistant to scratching than the carbon coated one, and the ergonomic and replaceable handlebar. The big basket underneath the seat: the basket is one of the best of its kind because it can hold up to 30 lbs. This is a big plus as it literally means you can carry almost all the baby car stuff there. The UPPAbaby VISTA stroller is somewhat heavy. This means it is not suitable for moms and dads with back problems or for mothers who have delivered via the C-section. Moreover, steering is a problem when it is expanded to carry two or three kids. It is super user-friendly: This stroller is easy to steer, has a large canopy, and comes with a high capacity basket for carrying everything you want. It offers flexibility: It can be used from day one up to late toddlerhood. It can be expanded to carry more than one baby. It is compatible with popular infant car seats. It saves you money: With it, you won’t have to buy another stroller when your baby grows older or when another one comes along the way. With all its exciting features, you are probably thinking its price will set you back significantly. This may be true. But I can promise you that the VISTA stroller will be worth every penny you spend on it. It is going to remain one of the best strollers for 2019. To lock in the special promotion and see the latest prices and colors, click here. This Bugaboo Donkey2 2018 is an improved version of Bugaboo’s multi-purpose baby stroller. This latest version is more comfortable for the baby and more convenient and functional for parents. It can be expanded to accommodate another baby, and personalized to different needs. As mentioned earlier, the Bugaboo Donkey2 is an improved version of its predecessor. The manufacturer has upgraded the look, the performance, the comfort, and the convenience of this new stroller. New foam-filled tires and enhanced all-wheel suspension. These two features work together to offer smoother and comfier rides for the baby and make it easy for parents to maneuver the stroller. An upgraded foot brake that can be easily deployed regardless of the type of shoe you are wearing; high heels, sneakers, flip-flops and any other shoes. A larger basket that has smaller built-in pockets for personal items such as keys, wallet or phone. The basket has a protective cover to prevent your stuff from getting damaged and can hold up to 22 pounds of your baby’s stuff. More customization options. You can choose the chassis’ color (black or aluminum) and the overall theme color. Improved chassis to guarantee the durability of the stroller. The stroller features a new part known as the base fabric. It includes the Bugaboo Donkey2 basinet fabric with an apron, a comfy mattress, a side basket, and an upgraded safety harness. Base fabrics are available in three colors whereas the side basket and sun canopy are available in eleven different colors for you to choose from. In spite of the above upgrades, like its predecessor, the Bugaboo Donkey2 is also available in three versions; twin, mono, and duo. The twin version, just as suggested by the name, is perfect for parents with twins. The mono one is ideal for moms and dads with one kid, while the duo version is designed for parents with two kids of different ages. All three Bugaboo Donkey2 configurations can be used since birth, with an infant car seat or a bassinet (sold separately). Even when fully loaded, this expandable baby stroller is quite simple to navigate. It has a short turning radius and steers quite smoothly. It also has a rain cover to protect your child from wet weather conditions. With such great features and upgrades, this Bugaboo Donkey2 stroller is guaranteed to offer you great service in 2019. Bear in mind that in the mono version, the stroller is wider compared to other standard single strollers. Also, featuring two seats, it tends to be quite heavy and bulky. Therefore, for easy transportation or storage, you will probably have to disassemble it extensively. It will serve you for many years thanks to the high quality of materials used in manufacturing it and the improved stable chassis. It is a great investment for any parent wishes to have a highly functional all-in-one stroller or planning to have more than one kid. It is designed with parent’s and child’s comfort in mind. It features foam-filled wheels that guarantee a smooth ride and seamless strolling. Its handlebar is also adjustable to make it easier to steer. You can get your Bugaboo Donkey2 at amazon or Pishposh. The cost varies depending on the configuration you pick; twin, mono, or duo. Before purchasing, look for discounts from the manufacturer or from the above-mentioned sites to save yourself cash. For the past couple of years, Baby Jogger City Select has been a favorite for many parents. It is in fact, one of the best-selling strollers on the platforms where it is available. One of the great things about this stroller is that it can be used as a single or double stroller. When specially designed standard boarding is installed, it can be used to carry even three kids. I love this stroller’s multiple seat configurations, and its ability to handle most terrains. The Baby Jogger City Select has more than sixteen different seat configurations. It can be used with one toddler seat or switched for a bassinet or baby car seat. You could also include the second seat together with the bench seat and glider board for the eldest sibling. The seats can also be reversed. This means that the baby can ride either facing you or facing the world. And when two kids are riding in at the same, they can do so facing each other. This can make it a very fun experience for both. Thanks to its integrated suspension system, this stroller moves smoothly on most terrains. Even though it is not appropriate for mountain trails or sandy beaches, it does well on grass and dirt roads. The stroller is available in ten color options. This means you can easily find a version to suit your personal style. I always check what other parents are saying when buying stuff online for my kids. Upon reading reviews on Amazon and on blogs, here are the pros and cons of this product. In terms of pros, parents love the wide variety of sitting options and the smooth maneuverability. Parents also dig how easy it is to fold and fit in the trunk, and its expandable cover that protects the baby from harmful sun rays. The stroller’s all-terrain wheels and suspension system are also popular with many parents. In terms of cons, a number of parents argue that the seat size is too small. And that children outgrow it by the time they get to 3.5 years of age. This stroller gets really big and heavy when two seats are attached. Thus, it may not be appropriate for those with back problems or those who have just had a C-section. Secondly, it is designed for tall and average height individuals (5’3″ and more). Shorter adults may find it difficult to maneuver. Lastly, don’t let the name fool you into thinking it is adequate for jogging as it is not. It saves you money as you will not need another stroller when your second baby finally arrives. Baby Jogger City Select adapts to the growing needs of your family and may be the only pushchair your family will ever need. You will enjoy the flexibility of using different seats and sitting options. Your baby will enjoy comfy rides thanks to its suspension system and its big wheels. You, on the other hand, will also find it easy to push and maneuver it courtesy of the very same features. Given that this City Select stroller is expensive, I would recommend checking if there are any discounts or promotions before purchasing it. You can compare prices at Amazon. I must confess that I love the Evenflo brand as it makes premium quality baby products that it sells at pocket-friendly prices. I instantly fell in love with the Xpand Modular stroller as soon as it was launched. To me, it will always be one of the best strollers for this year. The stroller is sold as a single stroller but it is designed to be expanded into a double stroller. It is particularly suited for parents looking for an expandable and flexible stroller. Offering more than 12 different seating options for one or two kids, you can rest assured that the Xpand Modular will provide maximum comfort and will be adequate for your expanding family. It can serve as your only pushchair until the weight capacity of 110 pounds is reached. The main seat features an adjustable reclining seat and a moveable leg rest. However, it can only be used from six months in its regular mode. Nevertheless, it is reversible and can be switched to an infant mode that can be used from three months. Also included is a stylish canopy with a viewing window that offers extra flow of air to the seat. And even though the canopy is so big, it is adequate for blocking sun rays from blinding your baby. You could buy the Xpand stroller individually or with the SafeMax Infant Car Seat. This specific car seat is the only one that can make this stroller adequate for use from the very first day since it is in the flat position. One thing that distinguishes this Xpand stroller from its competitors is that it has built-in adapters. These adapters make it possible for you to transform it from a single stroller to a double one without having to buy more adapters. Most strollers usually require extra adapters in order to be expanded, forcing parents to spend more money. However, because the adapters are already built into this stroller, you won’t need to spend more money when expanding it. Moreover, since Xpand’s adapters are built-in, you do not need to worry about misplacing them. The adaptors make it one of the best expandable strollers for 2019. Folding this stroller is fast and easy. The sibling seat, however, has to first be detached before folding as the Xpand can only fold up with one seat attached. The folded stroller occupies just about as much space as the UPPAbaby VISTA stroller. Although it is not the most compact stroller out there, it is not extremely bulky either. In fact, it can easily fit in most trunks. This particular stroller has been specifically designed for use in the city. It features rubberized plastic wheels and a suspension system for a seamless ride on flat surfaces such as driveways and sidewalks. If used on rough terrains, the stroller tends to wobble. Its wheels are not as multi-functional as those on VISTA or City Select. I think this is one of the reasons why it approximately costs just about a third of the price of the VISTA stroller. Just like most strollers, Xpand modular is not perfect. It has a few negative user reviews and appears to be less functional when compared to other premium, expandable strollers. I have, however, chosen to include it in my list as one of the best expandable strollers because it is a great choice for parents who want a very affordable single-to-double pushchair. In fact, this stroller is competing favorably against other premium strollers because of its affordability. It is way cheaper compared to other strollers in its class. It is a great option for those who are planning on having more than one kid but don’t have plenty of money to spend on a double stroller. Both the sibling and main seats are of the same weight capacity and size. This makes it the perfect double stroller for twins. It features a huge storage basket that provides ample space for baby essentials and other stuff for your kiddos. I have always been a huge fan of the Nuna MIXX brand. Their latest stroller is the Nuna MIXX2 and it’s a must-have for parents who are constantly on the move. This is because it is designed to be used as one part of a travel system with the other part being the Pipa Lite LX Car seat. I have this travel system in action before when I was going shopping with a neighbor of mine. Here is what I discovered. The Nuna MIXX 2 also features a removable support padding for the baby’s head and body. This makes it very comfortable for newborns. The stroller’s near-flat recline seat together with its adaptable leg rest and the support padding create a nice sheltered and cozy environment for infants. From this, you can easily tell that the Nuna MIXX 2 is a great choice if you are on a limited budget and cannot afford a bassinet. Another incredible feature of the seat is that is that it has been mounted high up on the stroller’s frame. This reduces the distance between you and the baby and make it easy to monitor him or her without removing them from the seat. It also makes it a lot easier to insert them or remove them from the stroller. Bear in mind, however, that this Nuna MIXX stroller is not expandable. It is specifically designed to carry one kid. The Nuna Demi Grow is the best expandable Nuna stroller. Check it out if you are looking for a Nuna brand double/ twin stroller. One of the best things about this stroller is the included Pipa Lite LX car seat. This car seat is one of the safest, lightest, and most creative infant car seats available on the market right now. It even has a ring adapter that allows you to connect it to the stroller’s frame. The car seat completes this Nuna travel system. A few parents, nonetheless, complain that Nuna MIXX2 is a bit too bulky. They also feel that for its high price, the stroller should include accessories such as a child tray or a cup holder. This is one of the most expensive travel system strollers on the market. For that reason, ensure it meets all your needs and requirements before making your purchase. It offers the baby maximum comfort thanks to its breathable and cozy seat. It can handle different terrains; rugged or flat. It is quite appealing to the eye and its quality is superior. It will certainly offer you several years of good service. The Britax B-Agile Travel System is an iconic and award-winning baby carriage that has been around for a while now. Although it has not been updated in a while, it remains one of the most sought after strollers in the Western World because of its reliability and user-friendliness. It has been featured on many best strollers lists by multiple parents associations because of its user-friendliness. One unique user-friendly feature is its design that enables it to be folded quickly and even with one hand. Another user-friendly feature is its portability. This travel system is compact and light, making it easy to carry and store despite being a fully functional baby stroller. When folded, it can easily fit into car trunks. When you store it in your garage, you will barely notice its presence as it takes very little space. The Britax B-Agile Travel System stroller has a unique three-wheel design, with two big rear wheels and a dual front wheel. The front wheel has a swivel design that makes it breeze to maneuver this stroll even around tight corners. The travel system can be used until your kid outgrows the 55 lbs weight capacity limit. In a nutshell, the Britax B-Agile Travel System stroller is one of the best strollers for 2019 and beyond. If updated, it can continue to dominate the top ten stroller lists around the globe for quite some time. If you check Amazon reviews, and reviews blogs and other sites, you will discover that many moms and dads really love this baby carriage. Most of them like its user-friendliness, its easy steering, its ability to turn tight corners, and the quality of the construction and the material used. Needless to say, there are some buyers who also think it comes with several flaws. Some of the flaws pointed out include the lack of a footrest and of a cup holder. To be fair, these two “accessories” have become pretty standard features in newer strollers. So they may have a point. This stroller might be one of the best for 2019 but it does not come with a cup holder or a footrest. So if these extras are important for you, you will need to purchase them separately. Secondly, this stroller has got plastic wheels. Although it rides smoothly with these wheels with the aid of its suspension system, it is not as smooth-riding as it would have been had it had air-filled wheels. It is a travel system that will serve you from day one to till your child gets beyond the baby carriage stage. With it, you probably won’t have to buy any other stroller. Its three-wheel design with a dual front wheel makes it stable and a breeze to maneuver. It is compact, lightweight, and easy to fold and to top it all off, its price is very pocket-friendly. The Evenflo Pivot Modular travel system is one of the cheapest but highly useful travel system available online. It’s affordable, convenient, highly functional, and made to last for a while. The system boast of an easily fixable infant car seat, which you can use to carry your small baby from when they are less than a week old. The main seat is padded and comfortable. 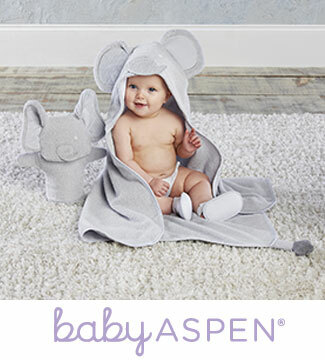 When your baby grows old enough to use it, he or she will enjoy the comfort it provides. Additionally, the seat is also reclinable for more comfort and reversible for easy monitoring. This baby carriage has a large and roomy overhead canopy. The canopy is adequate for sun ray protection. Below the stroller, there is an extra-large basket. It is great for shopping with your kid or for packing plenty of baby essentials and gear for an extended trip. The Evenflo Pivot Modular Travel System takes only a couple of moments to fold into a compact item that easily fits into the trunks of most vehicles. Moreover, you will be able to easily and quickly lift it out of your car when you reach your destination, as it weighs just twenty pounds. No need to ask anybody for help. Since I have been interested in this stroller for a long time, there was a time I tracked it almost every other day. And almost after every 24 hours, I saw buyers liking it and leaving very positive reviews/ comments. The last time I checked it, it had a rating of over 4/5, which is pretty impressive for a stroller. Verified buyers love its compactness, its safety features, its non-clumsy, and non-bumpy ride, and its comfortable seats. However, as always, there is a buyer who did not like some of its features. The buyer said that the stroller’s wheels are too big and too wide. In my experience, this is not the case. This stroller works just fine the way it is. In fact, it is just slightly above average in terms of size. Those with slim doorways and those looking for compact strollers should probably go for other types of strollers. However, this stroller is generally easy to steer and maneuver. It comes with a seat that can fully recline. This means your baby can comfortably nap in it without you have to buy an additional bassinet or its infant car seat. It is perfect for urban parents as it steers effortlessly on sidewalks. Moreover, it has got an oversized basket underneath the main seat, which is perfect for shopping or running errands. It is very affordable despite having premium features that are normally found in high-end products. It comes with additional accessories such as the child tray and the cup holder. Click here to confirm the price of the entire set. Seeking a cool but lightweight baby stroller? Look no further than the BABYZEN YOYO+ stroller. This premium stroller for 2019 is multifunctional despite weighing just 14 pounds. Light most other lightweight strollers, this one is also made specifically for baby’s who can sit without support. It has a comfortable, padded seat for comfort. The seating can recline to an almost flat position. This makes this baby carriage good enough for napping. The near-flat position can also be used for changing diapers. One of the things I love the most about this stroller as a mother is the fact that the seat fabric can be removed and washed. In fact, it is machine-washable. Meaning, you can always maintain its cleanliness when necessary. Additionally, the BABYZEN YOYO+ stroller has a tall and roomy canopy, which makes it suitable for use by tall kids. Inside the stroller, there are a few noteworthy features. There is the sturdy but comfortable safety harness system. The system ensures that your baby is fully protected from falling off. There are also two mesh pockets. Your kiddo can store his or her toys, his feeding bottle, and snacks in them. This stroller is also compatible with dozens of infant car seats. As it is evident in the pictures above, this lightweight stroller has small wheels. Although this clearly means it is not an off-terrain stroller, it has a suspension system that will absorb most impact on rough surfaces. Moreover, its front wheels have a swivel design making it easy to maneuver even on slightly bumpy surfaces. Even those it can handle slightly bumpy surfaces, you should know that this is a city stroller that rides best on non-bumpy surfaces. One of the main advantages of owning this product is the fact that it takes very little space when folded and it is very light. This makes it perfect for traveling by car or by public transport. Moreover, it can easily fit into overhead compartments of big planes. What makes it even more convenient is its shoulder strap that makes it extremely easy to carry when folded. Lastly, it sleek and gorgeously designed. Honestly speaking, who wouldn’t fall in love with it? This stroller is perfect for toddlers but it is not designed to be used as a newborn carriage. To use it as a newborn carriage, you will need to buy a compatible infant car seat or cocoon plus adapters. It has a high canopy, which means it can accommodate taller toddlers. It is compact and lightweight and can be folded and carried over the shoulder making it perfect for city dwellers. In fact, it is so compact and lightweight that you can easily go with it to places using public transport before unfolding it for use. The GB Pockit Plus was a real hit with many parents in late 2017 and early 2018. I decided to include in this list of best lightweight strollers for 2019 because it remains one of the most innovative and multi-functional strollers ever made! The current GB Pockit Plus is an upgraded version of the original stroller that went viral. It is a gorgeous and simple stroller that works wonderfully. The stroller’s main selling point is its folding design. It can fold into the smallest and easiest-to-carry stroller in a few quick seconds. The super tiny makes it perfect for going places with it as you can deploy it and put your baby in it whenever you feel the need. Besides, it has an automatic lock, so you do not have to carry it in any special way to prevent it from unfolding. Despite its lightweight and super compact folding size, it has multiple features and functions that make it fantastic to use. For example, the GB Pockit Plus has a reclining seat to provide your baby with a position of maximum comfort. It is also compatible with a variety of infant car seats including popular ones like GB, Cot To Go, and Cybex. Therefore, you can use it from the day your baby is born until he or she outgrows the need to be carried. Additionally, the GB Pockit Plus comes with a big and roomy canopy to provide your baby’s head with a pleasant shade. In terms of accessories, this stroller features a Pockit Travel Bag. The travel bag makes it simple and convenient to store this bag or travel with it. Although it is one of the easiest strollers to fold and travel with, the GB Pockit Plus has one major flaw: small wheels. This means it is only suitable for smooth terrain; it wobbles and gets clumsy on uneven ground. It is compact and lightweight. This makes it one of the easiest strollers to travel with around the city even using public transport. Its seat can be adjusted to recline to different positions and it is compatible with multiple infant car seats and baby cots, this makes it appropriate for use from the newborn stage. So with it, you probably won’t have to buy another stroller. It is amazing if you have an older kid who has already learned to walk. In such a case, you can carry it on your shoulder and open it when they are tired, need to nap or require a diaper change. Check the latest price and colors available for GB Pockit Plus here. If you are like me then you probably love summer. However, carrying a baby around during summer is no fun at all. You get all sweaty and stuff. Carrying your baby also kind of prevents you from doing some things you may have wanted to do. And this is where the Summer Infant 3Dtote Convenience Stroller comes in. This stroller is built to enable you and your baby to have a blast during summer. Everything about it is geared to make it easier and convenient for you to ride your baby in the stroller in the hot summer sun. With it, you will be able to effortlessly run errands, go shopping, or go for day trips around the city. The Summer Infant 3Dtote Convenience stroller is light. It weighs about 17 lbs. Despite its lightweight, it packs plenty of interesting qualities. The feature that stands out the most about this device is its storage space. This stroller has got a huge storage space just behind the main seat. This storage space is sufficient for storing the baby’s essentials, his or her toys, your stuff, and maybe even a couple of small shopping bags. With all these things stored in it, you may still have a little bit of room left. This humongous storage space is the reason why this stroller is considered one of the top lightweight strollers, by moms and dads who love shopping. In addition to the storage space, it has got innovative hooks where you can hang your main bag. What is more, this stroller features a water bottle holder on the side. It makes it easy for you to obey your thirst. I obviously love the storage features and the bottle holder, but those are not the only impressive features on this compact stroller. The other features on offer include the five-point harness that has got multiple height positions. The harness offers maximum security and safety. The multiple height positions mean it can be adjusted to more comfortably secure your growing child. Hooks and pockets for your baby’s toys, feeding bottles, and snacks are available inside the stroller. The stroller has a weight capacity of 50 lbs. The stroller has a unique four-wheel system. Each wheel is dual for maximum balance and stability; it does not tip over easily. The unique wheel system also makes it a breeze to steer this stroller. Additionally, it has got a suspension system that guarantees a bumpless ride on most surfaces. One of the unique summer features is the canopy. It is big enough to offer a fantastic sunshade, but not so big to interfere with the free flow of air. So it protects your baby from blinding sun rays and at the same time will ensure that he or she does not overheat in the summer temperatures. This stroller is amazing for summer living. However, its wheels are best suited for flat surfaces. Get a stroller with bigger and inflated wheels if you want something that can ride over rougher surfaces. Secondly, it is not ideal for carrying newborns as it is not compatible with infant seats and does not recline to a flat position. It is lightweight and comes at a very pocket-friendly price. Definitely one of the best lightweight strollers for 2019. It is great for summer trips to malls, to the zoo, to your baby’s grandparents, or even just around the block. It has got a huge storage area, it is well-balanced, and it steers effortlessly. It is definitely a fine stroller that will serve you well. I already covered the GB Pockit Plus but I thought it was necessary to cover its predecessor, the GB Pockit. This is because I believe it is the simplest, best-balanced, and lightest stroller out there. Anyone who has used it will most likely agree with me when I say that driving it is a very pleasant experience. When I said this is the simplest stroller, I meant it. It is so simple that its canopy is tiny, and its seat does not recline. Moreover, it is not even compatible with carrycots and infant car seats – so it cannot be used to carry newborns. Nevertheless, it has got some pretty impressive features. For instance, it weighs just 9.5 lbs and it can fold into the smallest stroller you have ever seen. This makes it one of the easiest to carry strollers in the world. In fact, it can fold to the extent that it can fit into a large handbag. This makes it perfect for parents who love traveling. Despite its ability to fold into a very small bag, it is also sturdy and roomy. In fact, it is so roomy that it can comfortably accommodate even a five-year-old. The slim design of this stroller and its weightlessness are ideal for going to parks, visiting museums, navigating between tables on restaurants, and for use with public or private transport. In a nutshell, the GB Pockit is one of the best lightweight baby strollers for 2019. With the use of this stroller, you will be able to ride easily on quite a number of surfaces. You will also be able to maneuver the baby carriage easily. The easy riding is courtesy of the four-wheel dual system that promotes stability. Nevertheless, even though this stroller can glide effortlessly, it has got small wheels so it does not fare well on rough surfaces. Unfortunately, the storage bag on this thing is somewhat small. However, this is kind of expected for a stroller of its size. Although the storage space is small, it is big enough to carry baby essentials, a couple of toys, and snacks. A big plus for this stroller is the fact that its seat fabric is detachable and can be machine washed. This makes it easy to clean and maintain. This is a stroller for an older baby. It is meant for toddlerhood. Its biggest flaw is its canopy size. The canopy is small and does not offer adequate shade. If you want a product that is just like this but with a bigger canopy, check out the GB Pockit Plus that we have also covered in this review. You will find it very easy to carry around, to store, and even to use public transportation with it. This is because it is slim, compact, and extremely lightweight. It is an investment for the future. This is because it can be used to carry children from the young age of about 2 years old to the time they start school. Its weight capacity is 55 lbs. It is sturdy, durable, and does not easily tip over. Diono Traverze is a lightweight baby pushchair that was released to the market less than two years ago. Its main selling point is its stylish design. You will frankly not find another stroller that looks as good as this one. The design is pretty cool, the construction is top-notch, and the materials used are premium. Apart from its cool look, this stroller is also pretty travel-friendly. It is slim and light meaning it can easily be carried around. It can also be folded to a pretty small unit and put in a travel bag. When folded the right way, the handle can be pulled out and the stroller pulled along just like a normal travel bag. One-hand steering. It is designed to steer easily even with one hand no matter how heavy the baby is. A centered footbrake that is easy to access and use even with flip-flops. A zippered pocket behind the seat for cash or phone storage. The expandable storage basket for storage of baby gear and your stuff. A rain cover to protect your little one against the wet weather. A mesh panel on the canopy for baby monitoring and for proper ventilation to prevent the baby from overheating. The padded 5-point harness for maximum safety and security. Like all other strollers, this one too has got a couple of issues. For me, the biggest issue is the seat depth. Or lack of it to be exact. When I see it, I just feel that it could be comfier if it were a couple of inches deeper. Nevertheless, with the five-point harness, it is not exactly uncomfortable or unsafe. From the design, it just looks like it is meant for babies older than 2 years. I also have an issue with the canopy. It is not exactly big enough and does not cover the baby sufficiently when the seat is completely reclined. According to the makers of this stroller, the stroller is infant-ready. However, in my opinion, it is not really infant-ready because it does not recline fully to a flat position. Nevertheless, it does recline and its maximum recline position is sufficient for a baby to comfortably nap in. In spite of these drawbacks, I still feel that this is a cool and stylish product that can be exceptionally useful for parents who are always on the go. Although the seat of this stroller can recline, it does not recline to the flat position. For this reason, it is not exactly newborn-ready. Therefore, you should only consider it if your baby is at least 6 months old and can sit upright on her own. It is lightweight, can be folded quickly and one-handedly, and comes with a travel bag that allows you to pull it effortlessly like a suitcase. It is well ventilated to prevent the baby from overheating and comes with a mesh window for close monitoring of the baby. It is extremely safe thanks to its easy to use brake system and its 5-point harness. Looking for a baby stroller that combines style and functionality? Look no more! The Silver Cross Jet stroller is exactly what you need. This compact and lightweight stroller packs plenty of style and functionality in its slim yet robust frame. Its lux design and functionality are the two reasons why I decided to include it in my list of best strollers for 2019. Let’s touch on the style a bit before we get to the functionality. The stroller has a simple but chic design and comes in stunning colors including matte black. The materials used are premium quality ones, and the construction is durable. In short, it is a wonderful baby carriage that many moms, especially the young ones, would love. As I mentioned earlier, this stroller is also very functional. For example, its main seat can recline to the flat position. This means you can use it to carry an infant who cannot yet sit upright on their own. Moreover, it compatible with popular newborn car seats such as Aton Q, Cybex Aton, Nuna Pipa, and Mico Max 30. Some of these seats may require adapters. Another function that most parents will certainly love is its ability to fold into a small, suitcase-like item. When properly folded into can fit into the overhead compartments of most big airplanes. This means you can travel with it to most places with very little chance of misplacing it. The Silver Cross Jet also comes with a sturdy but comfortable harness, a rain cover, and a toddler bar for your baby to hold onto. It is the toddler bar that doubles as a pull-along handle for the stroller when it is folded up. My only wish is that it was extendable so that taller parents could also pull it comfortably. Nevertheless, it only weighs 13 pounds. This means you can easily carry it if you want to instead of pulling it along. Although this baby stroller is awesome in so many ways, there are a few things about it that bother me. For instance, the stroller can fold up nicely. However, unlike some of the other strollers we have covered, which can be folded in under four seconds, this one takes a bit more time. Moreover, the process could also have been made a little bit simpler. Another thing that bothers me about this stroller is its small wheels. Although the wheels are great for riding this stroller in malls, airports, flat walkways, and on sidewalks, they do not do very well on bumpy surfaces. One more drawback is that this stroller has a relatively low weight limit of 40 pounds. This means it can only be used to about 2.5 years old. So you may be forced to get another stroller when your child reaches this age. The handlebar on this stroller is better suited for shorter parents. This means if you are tall, you are unlikely to have a pleasant experience strolling your baby in this baby buggy. In addition, this is a slim and compact stroller. It does not have much storage space. In fact, it is designed in such a way that you cannot even fit a diaper bag in it. So if storage is an issue you are better of trying another stroller. Nevertheless, you can still use the storage underneath the seat to put in a small blanket, a couple of diapers, wipes, and possibly a jacket for you. It is an amazing stroller for summer trips. This is because it is lightweight, it can be folded into a suitcase-like bag that can be pulled along, it has a seat with a mesh design, and it has a large canopy that offers great protection from harmful sun rays. It is newborn-ready. The Silver Cross Jet stroller can recline to a flat position making it suitable for carrying newborns. It is also comfortable enough in this position to enable toddlers to catch a nap. It is a stylish and high-quality stroller that is appropriate for travel by car, bus, train, and plane. Cybex makes some of the best quality strollers and infant car seats out there. The Cybex Eezy S Twist is one of their best works yet! It is a stunning stroller with multiple creative and innovative features. The stroller’s most innovative feature is its revolving seat. It allows you to reverse it with one hand. This is a pretty convenient feature that no other stroller in my ranking of the best strollers for 2019 has. The seat is also generously padded and can recline to multiple angles. This means that your child can sit comfortably on it, or you can set it to make a wonderful “bed” for your son or daughter to nap on. This Cybex stroller also happens to be well-balanced and easy to maneuver. Indeed, it is so easy to maneuver that many parents usually steer it with just one hand. Besides, it is designed to easily steer through crowds and tight corners. Unfortunately, this product’s small wheels are better suited for flat surfaces. On a bumpy surface, you will find it difficult to push this stroller. Your baby will also find it uncomfortable on rough terrain. It has a revolving seat that is perfect for those with back problems, and for new mothers who have just had C-section. This is because the revolving seat eliminates the need to lift the seat and the baby so as to reverse it as is normally the case. It is a stylish and complete stroller that can be a primary stroller. It is also lightweight and folds nicely, making it perfect for traveling. Its price is relatively pocket-friendly. check Amazon or pishposhbaby here to confirm this product’s price and the available colors. The Baby Jogger City Mini GT Double stroller is designed to accommodate two twins, two infants, or two children of different ages. It is also designed in such a way that it can be turned into a travel system with the help of compatible infant car seats. One can also add two bassinets to the stroller to make it suitable for newborn twins. More on this last feature. It means that one baby can comfortably take a nap, while the other sits and takes in the environment. What is even more impressive about this stroller is the fact that your twins can use it until they are ready for school. This is because it has tall canopies and high backrests can comfortably accommodate even five-year-olds. Most moms and dads love this stroller’s all-terrain wheels. They also love the extendable handlebar that enables them to adjust it to the right height for easy pushing and steering. Despite being a double stroller, the Baby Jogger 2016 City Mini GT Double is slim enough that it easily goes through regular doorways and elevator doorways. Lastly, folding this double stroller is easy peasy. Indeed, it only takes a couple of seconds to do so. When folded, the stroller takes up very little space. The storage space below the seats is very spacious. However, it has a bar in the middle so packing large things or accessing your stuff may be cumbersome. It is well-made using premium quality materials. This means it will provide you and your twins with many years of service. It can be used for newborn twins as infant car seats or bassinets can be attached to carry them the right way and comfortably. It comes with a suspension system and all-terrain wheels for a bumpless ride even on difficult surfaces. Bumbleride Indie Twin is, hands down, the most chic, and the most practical double stroller available on the market! It is packed with dozens of exciting features. This stroller can be used by newborns and has three unique seating arrangements. Both seats can be reclined to a flat position. When you do this, it will raise the footrests and created a partly enclosed and sheltered space for your newborns to nap. Thus, unlike other strollers that require users to buy bassinets or infant car “seats” to be made infant-ready, this one is ready as it is. No need to spend more money on additional stuff to make it ready. Besides, every seat can be adjusted independently. This means, when your twins grow up, you can recline the seats individually to give each one just the position and the comfort they need to nap or take in the world around them. It also means that this stroller can be bought for siblings who are of different ages. Moreover, we already mentioned that this stroller does not need infant car seats to work. Nevertheless, if you have car seats you can still attach them as it is compatible with most of them. There are already car seat adapters available on the market for Cybex, Nuna, and Maxi Cosi car seats. There is nothing I love more about the Bumbleride Indie Twin stroller than the fact that it is an all-terrain stroller. This is courtesy of its big, inflated tires, and its suspension system that makes it ride just like a car. Pushing it and steering it is as easy as slicing cake even over graveled roads, cobblestone streets, and tall grass. This double baby buggy also comes with tall and roomy canopies that provide great coverage even when the seats are reclined. During summer, the seats’ vented tops can be unbuckled to increase air flow. So you don’t have to worry about your twins overheating when using this stroller. Another fantastic feature on this stroller is its humongous storage space. The space is located beneath the seats and it is enough for storing all the essentials for both babies plus your stuff. Unlike other storage spaces that have a bar in the middle making them difficult to use fully, this one simply has open space. Therefore, it is easier to use in this sense. Despite being a twin stroller, the Bumbleride Indie Twin can be folded into a pretty compact package that stages on its own. The only major drawback to owning this stroller is its weight. It is pretty heavy at 36 pounds. However, I kind of expected this because it is a twin stroller. Therefore, the weight is not really a deal breaker for me. This product is heavy as explained above. It weighs about 36 pounds. However, this is kind of the normal weight for double strollers. Additionally, although this baby carriage is compatible with infant car seats such as Nuna, Cybex, and Maxi Cosi, it is somewhat difficult to attach and remove the Nuna car seat. It is an all-terrain double stroller. It has big wheels and a suspension system. These two features plus its overall design make it one of the easiest double baby strollers to steer and maneuver. It is a premium double stroller with all the feature and functionalities you would expect from a high-quality stroller. It is newborn-ready. Its seats can be individually reclined to multiple positions. Additionally one can attach two infant car seats. Mountain Buggy Duet is a robust but highly comfortable double stroller that is designed to be as tough as an all-terrain vehicle. It also has a couple of useful features to make life comfortable for you and your little passengers. I have seen many strollers, owned two different ones over the years, and read reviews about many, but if I were to conceive twins, I would think of no other double stroller than this one. This is because it packs so many useful features and functions. For example, it comes with a handbrake. This is useful for safety and ensures that you can instantly brake the stroller regardless of the speed you are moving at. This double stroller is also designed in such a way that it can be folded with one hand. It becomes super compact when folded making it easy to store or to pack a car trunk. If you love space like me, then you will love this double stroller even more. This is because it has got a huge storage basket underneath the seats. You can store all the essential stuff you need for both your kids inside the basket and you will still have enough room left for your stuff. The reason why many people think the Mountain Duet Buggy is one of the best double strollers for 2019 is its design. Although it is a double stroller, it has a slim design that makes it easy to push and steer in crowds and even around tight corners. Thus, if you are worried about its maneuverability, don’t be. It is probably going to be among the easiest strollers you have ever pushed. Additionally, this stroller has several different seating options and is compatible with multiple car seats. You can adapt it in any way you want to suit your needs. You can even have your kiddos facing you to ensure you keep a close eye on them. As I touched on earlier, this is a tough double stroller. It has a tough frame and comes with big air-filled wheels. This makes it tough, durable, and suitable for all terrains. Because of this stroller’s air-filled tires, you will have to always carry a pump with you to ensure that the tires are always fully inflated. If you don’t you may experience great difficulty in pushing your twins in a deflated twin stroller. It has a safe double stroller courtesy of its parking brake and its handbrake. It is a smart investment in the sense that you can use for a very long time and you can also convert it from a double stroller to a single stroller if the need arises. It is a tough double stroller that can surprisingly steer easily even around tight corners. Evenflo is a decent double stroller that is lightweight, and functional. If you don’t have plenty of cash to spend on a double stroller, you will still be able to afford it because it is rather inexpensive. The Minno Twin Double stroller has a couple of interesting features. First of all, each seat is deep and designed with generous padding. Your twins will be very comfortable in them. Moreover, the seats on this double stroller can be individually reclined. You can make them even more comfortable for your babies. However, the seats do not recline to a flat position. Also, this stroller is not compatible with any bassinets or infant car seats. This means that it is not newborn-ready. You can only start using it when your babies turn 6-months-old. It also has got other convenient features such as ample storage underneath the seat and retractable canopies. This Evenflo double stroller is the lightest stroller in its class. It weighs only 26 pounds and is very easy to carry around. When folded, it becomes quite small and easy to pack. However, there are also some things about it that many parents are critical about. For example, for instance, some parents argue that its wheels are too small for a double stroller and that it doesn’t ride smoothly for this reason. Others also argue that although it folds, it does not really save space in its “compact” folded mode. Nevertheless, for under $150 USD, it is a pretty decent double stroller. This stroller has small plastic wheels. It is not really meant for riding on all terrains. The wheels only do well on smooth surfaces. Its seats are padded for comfort and can be reclined individually for even more comfort. It is a budget double stroller. It is ideal for those on a tight budget. It is very lightweight compared to other strollers in its class. If you want to go jogging with your baby, get the BOB Revolution Flex Lunar. The reason is simple: it is a top-ranked jogging stroller 2019. The color of this thing is awesome. It is black with a significant lunar reflective patch, which glows when it is dark. This makes you and your baby more visible. This, in turn, makes the both of you safer. The stroller features three large inflatable wheels. Wheels as big as the ones it has are essential for jogging strollers. Thus, you will find that most jogging strollers are similarly sized. However, what is so special about this stroller’s wheel system is its front wheel. When running on a flat surface you can lock the front wheel in one position for maximum stability. And when you want to go slow and navigate tight corners, you can unlock it to swivel for better maneuverability. Another special thing about this stroller’s wheel system is its amazing suspension system. It makes the ride comfortable for your baby, whether you are jogging or strolling. The system makes this stroller to move as well as an all-terrain vehicle. The handlebar on this stroller has nine height settings. You can easily adjust it to find the perfect height for you to hold it when jogging or strolling your baby. This stroller also comes with an excellent lockable storage basket. The basket has enough space for fitting all your stuff and your baby’s stuff. As with most jogging strollers, this one is also equipped with a generously padded multi-strap harness to secure your child on the equally comfortable seat. It also has a large canopy to protect your child from wind when you are running. The stroller can only be used when your baby is old enough to sit on their own. You should not use it with a baby who cannot sit unassisted. Moreover, this stroller is pretty heavy. It does not fold compactly like other strollers. To make it easy store, you will need to remove its tires. It is perfect for jogging as it has large inflated tires, an amazing suspension system, and a well-padded seat. It protects your baby when you are jogging in three ways. First, it holds them securely with its multi-strap harness. Secondly, it has an oversized canopy that protects your baby from the wind when you’re running. Lastly, it grows in the dark to increase safety and visibility. It is easy to maneuver when running and even when negotiating tight corners. My ranking of the best strollers for 2019 could not be complete without the Joovy Zoom 360 Ultralight Jogging Stroller. I am of this opinion because it is frankly a very impressive stroller for jogging and for slow breezy strolling even on rough terrain. It comes with inflatable tires (pump is included): The front wheel is size 12″ while the rear wheels are size 16″. The front wheel can be locked for stability when running or unlocked for better maneuverability through crowds, and tight spaces. It has a brilliant suspension system that absorbs shock like a well-made off-road vehicle. I have tried this stroller myself and I really love how much shock it absorbs. It is ultralight (weighs just 25 pounds). This enables it to perform brilliantly and makes it easy to transport. It is compatible with popular infant car seats. Therefore, you can make it newborn-ready by buying such seats. Other features that really impressed me about this Joovy Zoom 360 Ultralight stroller include its roomy seat that can hold babies of up to 75 lbs. This means you can carry your baby in this stroller until he or she turns about 6-years-old. The stroller also has mesh pockets inside the canopy, where you can store some snacks for your kiddo. There is another storage area underneath the seat. It is bigger and great for storing baby gear and your own gear. In terms of its design, it features a sturdy construction that is tough and durable but steers easily on most terrains. Even with a baby on board, it steers as if it were on power-steering. The one major drawback is that it is super big and somewhat weighty (25 pounds). So if it is not suited for those with a back problem and mothers who have just undergone C-section. Anyway, why would you be needing a jogging stroller if you have a back issue or you have given birth via the C-section? It is very cheap. Despite steering like a dream and being perfect for all terrains, this stroller is relatively cheap. It is a very light jogging stroller. It weighs just 25 pounds and can be used as an everyday stroller. It is perfect for jogging because it has big wheels and a brilliant suspension system. That’s it. Those are the best strollers for 2019. They are the strollers that have not only impressed me as a mother but also impressed others moms and dads too. Work is done. Time to take a nap! We are all different. We mothers are different and we have different babies with different needs. Choosing a stroller that meets our needs as mothers and the needs of our kids is a very difficult task. This is why I used all my experience to create this list and help those who are struggling to make better decisions when buying strollers. My list has a total of 25 products that are already available on the market. The products are the crème de la crème 2019 strollers; only top quality and premium strollers have been included in the list. As you have probably guessed, there is a deeper story as to why I did this ranking. The story goes like this: I recently met a long lost friend whom I had gone to high-school with. When we met, I discovered she was about 7 months pregnant. She was a bit stressed as she had not bought all her baby gear. She knew that I test a lot of strollers at home. She had been apparently reading up on my baby blogs but not commenting. Anyway, as we were catching up, she told me that she was yet to buy a stroller and that it was one of the things that were disturbing her mind. She asked me to recommend one for her. When she popped the question, I somewhat thought about all the mothers and expectant women out there who are in her situation. Who did not know what to buy because of inexperience. I also thought about myself. I was kind of similarly stressed when I was about to have my first child about six years ago. So I thought, why not research the best strollers for different kind of needs and put them in a nice little list that everyone can access. This how the idea of “Best Strollers Of 2019 – Parents Essential Guide” came up. I tested most of the strollers myself, I have used some in the past, I also read reviews, and visited local baby shops to get a firsthand experience of the strollers. I did all this to ensure that I gathered credible information to share with my fellow moms. After a couple of days of research, I whittled down my initial list of about 50 quality products to this current list of 25 products. I only chose the products that I knew were of absolutely good quality and could be of real help to parents. Lastly, I organized the strollers based on weight, type, and use to make it easier for parents with different primary needs to find what they want. My high-school friend really loved the list and she told me that she appreciated my help. She recently gave birth to a bouncing baby boy and uses her newborn-ready stroller almost every day. I am confident that you will also find my list of best strollers for 2019 useful. And that it will make it easy for you to make your stroller purchase decision.